God…(received by Celest) Well Children, here we are yet again. You are still looking for answers I see and still wanting to have all things set right. At least set right in the eyes of most of you that is. Whether or not things are the way you want them to be is all a matter of how you define right. As you may have guessed by the title I have chosen for this letter to you, this missive will be prove to be not lighthearted, rather it will be intense. This is in great measure a result of either My desire to be keeping to the times you are living in, or My fervent heartfelt wish to assist those whom I can to "stay the course," or both. I am confident that many of you will simply need a bit of confirmation from Me regarding your own perspectives on all that is occurring, as well as your being reminded of My continuing efforts to provide all pertinent information to you…as I see fit. I will for the final time, once again address the issue rebounding in so many minds; "Why did we not know about all these Earth changes and planetary realignments before?" "Why didn’t anyone tell us?" Actually, you did know and you all have known for many millennia. It is rather puzzling at times how it has come to pass that so many of you act and think as though all that is happening is "new news." In great part it is your own lack of serious communication and the remaining millions of people who still have the "I don’t really want to know" factor, that has contributed to the shock and outright hostility many of you have expressed to Me. WHY? I can not, I will not, continue to repeat the same warnings I have given to you each for so very, very, long. NOR WILL MY EMISSARIES. Perhaps you have forgotten that I have an entire Universe to help…where I can. Although none who are part of My Universe are more important than another, I will not make any arbitrary decisions to spend time in dealing with repetitious questions from many of My Children, when I can instead continue to be of service to all those of you whose hearts, minds and Souls, are replete with the serendipitous rapture and rhapsody of My TRUTHS. You see Children, what so many of My emissaries are finding so appalling is that regardless of how much they have worked with you – both singly and in groups – only a tiny fraction of people are staying on the path of truth and understanding. The rest….well, let’s just say that the rest are falling down the rabbit hole of dismal thoughts and broken dreams. Although I do not love one Child more so than another, I have loved many LONGER than others. Let us see how well you receive this thought, this idea that I am sharing with you. Let yourself SEE if your failure to communicate with Me, is on an equal scale of your failure to communicate with YOURSELF! For if you can not understand what I just said, then you do have a problem. Many of you still fail to understand that you can no longer simply fall back into the other complacent self you used to be. Others, those who have had longstanding associations with the "doubting Thomas" syndrome, are the people all over the planet who still refuse to sever that association and are truly dancing on the fire of doubt. This fire will consume them. If you each could at least once a day, quiet your minds and listen to what you as Soul, has to say, what you as Soul, is reassuring you about, then you and I would not need to have this letter written and read, now would we? I have considered most diligently the timing here of releasing this letter to Celest and David. I have looked at all the possibilities and probabilities available to Me to better determine how many of you I can still reach. I speak of those Children who have been untouchable for most of this lifetime. Those of you reading this letter who are remaining staunch in your faith and are "in-knowing" that in the end, all shall be fine, should be aware that although I am not addressing you each per se, that is NOT to say that you too in these times will not be severely tested BY the times you are living in. These are the times that many of you have at one time or another Created through your failure to NOT succumb to those children of a lesser god.. Let Me be perfectly clear here; I AM NOT DOING THE TESTING! YOU are. So many of you were performing your acts of faith and definitely of helping others in need, far better before the NESARA wind wave and the dying winds began to exist as true prevailing forces here on the Earth Star. There is irony present here. These winds are a perfect form of communication. My animal life forms listen to these winds; My flora, fauna and each and every other aspect of Creation here on the planet listen to these winds, yet humanity does not. I am communicating with all of you here through many different venues. I telepath to you, I express My concerns for YOUR concerns to you; I do not ask of any of you to make any promises to Me. It is a good thing I do not, NOW ISN’T IT! Throughout this major testing period, this period that will last for many, many, years I might add, it is your ability to convey your thoughts in a concise, clearly thought-out pattern with Me, as well as with yourself and all others you connect with, or associate with, that will continue to be either your saving grace or your eventual downfall. If only all the voyeurs would stop gazing into the mirror of illusions and instead gaze into the looking glass of eternal life, My job would be much easier. So would yours. I know how much is required of you to enable you to withstand the moral turpitude of the millions of people who are lost to themselves. I also KNOW that I KNOW you each far better than you KNOW yourselves. So it is that on this day, I am reluctantly but wisely addressing the lack of communication that so many of you exhibit. I would like to see you all stop running around in a complete fear mode and cease performing obscene somersaults in attempts to appease the thugs still desperately trying to hold on to the control of the world and the people. IF you are ready, willing and able to disenfranchise yourself from fear, then YOU WILL BE FINE. Your sentience will once again have clarity; you will be able to speak freely with ME, once you have yet again established your connection with your own Soul Voice. The time is at hand NOW for each of you, for all living things to come to their sentience, for all beings to ride out the storm that is now approaching gale force wind proportions. For those of you who know how to achieve this, I would also suggest that you listen to the winds. Define yourself TO yourself and in this manner the WINDS WILL DEFINE YOU. God…(received by David) I spoke earlier about much of what is occurring as being perceived as "new news." To further that discussion I should like to remind each of you who has already forgotten, there are no new thoughts or ideas. Do you remember? Whatever has been thought of, brought into manifestation here on this world of Mine has already existed in one form or another on another plane, a different world or somewhere else in the continuum. This is why I so fervently implore you to seek the answers to the questions you have from within your Soul, the place where all is known. Monumental changes on any level are accomplished by tapping into the heartbeat of this Universe as well as to the Universal Pool of Knowledge where all information is Sacred and shared freely and openly. Now I am not implying that you do not have any original ideas; for that would be far from the truth. Each one of you who used your sentience comes up with variations of what already is. You modify, you mold and you shape it into wondrous formations of thought and energetic matter to suit the needs each of you has. This is a good thing. Now let us move on, this too has been discussed previously by many of My Children. Let us examine one of your coined phrases, "the lesser of two evils." Each of you has heard this one before; yes, many of you at one time or another, some more than others, has bowed to the lesser of two evils. No one should ever bow to any form of evil! One evil is but an extension of the other. You should STAND in your truths and understand ALL THAT IS. I am here to tell you that bowing to evil in any form belittles all the good efforts you each are trying to accomplish. Who said it was all right to fear the pseudo forces that APPEAR to be stronger, brighter, or superficially more enlightened in their approach to all the affairs of the human race? You are all Creators of worlds; those people and beings that have sought to control you are the destroyers of worlds. Each lifeform on this planet is tuning into one of the two opposing winds of change. Many people are altering their perspectives and getting on with their lives. Most of the human race is slow to respond. As Celest and David spoke about in their missive "Understanding the Winds of Change," the two opposing forces are separating the wheat from the chaff. They are pulling apart by the seams the beliefs of many people. They are altering the very fabric of their reality. Many people are moving towards the positive energies of My NESARA Child, evidence of this is everywhere. This brings us back to the serious lack of communication between most of you. How many people do you know who simply do not want to know, in fact most do not care, as long as it does not affect them personally. Well please tell them from Me, IT IS TIME TO TAKE IT PERSONALLY before they are pulled under by the dying winds of change. This world is going to continue to alter; she is going to flip many people on their heads. She is going to appear to be rocking and rolling until the last vestiges of My lesser evolved children and their unhealthy practices have been vanquished from this world. Each of you is a jewel; some people are still in the rough while others are sparkling for all to see. If you cannot see where you yourself are, then perhaps you should issue a wake-up call to yourself. I have done all that I can to convince you, to persuade you to see the Light. Those who responded to My urgings have come far in this lifetime. It is not the time to sit back on your laurels and simply ride upon the winds of change. If this world is going to alter as you would have it, it will require all of you to remain focused to the tasks at hand. Be a risk taker; boldly go where you can be of service to others. You have right on your side and this dear ones, is much more powerful than might could ever be. We, you and I, all walk the path that destiny provided for us to be on. The Creator put Me on Mine to be the Caretaker of this Universe. I birthed each of you to do the same, to be the Caretakers of your immediate worlds as they pertain to you as Soul and to the Creation process. Is it that hard to remain true to yourself, true to your course in life, true to your Soul’s choices? Is it that hard to stand up for what you know is right, despite the consequences? No, I absolutely do not want any of you to be martyrs to your cause. This would defeat all your good intentions. This world, this Universe, in fact all aspects of Creation alter during every nanosecond. Look at a blade of grass, does it stop growing or does it evolve? Why should the human race do otherwise? Sure you have evolved as a race technologically. The sad thing is you have done so and compromised your Spirituality. You have all been knocked down, kicked around and abused to one degree or another. Does this mean you should just give in and comply so that you can fit in? Yes, change on a planetary scale can and will happen instantaneously, IF you all work together. Knowledge of this Universal Truth has not yet reached the masses of this world. Consider it to be part of your missions in life to inform the uninformed. You who are in awareness can individually bring monumental forms of change into fruition all by yourself in your own personal worlds. You are all gifted, you are all special, you are all unique expressions of Myself. Why do you not see what I see? Why can you not rise above your physical limitations and realize the vast unlimited potential that lies within? I do not ask much of you, you are much harder on yourselves than I could ever be. The wrath of god syndrome and other such co-dependency issues that have not been adequately dealt with must stop if you are ever going to grow into your Souls. Simply talking about change is doing nothing more than performing heroic acts of lip service. This will only carry you so far. There must be something of substance to back the words up with. There are billions of people everywhere looking for alternative ideas and new ways of living their lives, rather than what has long been accepted here as the norm. Help them please, in this manner you will also help yourself. Teach them to simplify their lives so they are not so burdened with regrets. If not, everything you are trying to do, everything I am trying to impress upon you, is getting lost in the translation. Many of My other Children and I have patiently tried to impress upon you the one most single important fact for each of you to know intimately. And yet far too many of you still can not see beyond your own perceptions of limitations, much less hold on to this one simple concept that LOVE is the most powerful force in all of Creation. All of Creation is built upon it. It should not be that hard to assimilate this fact if you just stop trying and start doing. Empty all your thoughts and emotions and then you will be able to clearly see what was right in front of you all the time. We, My other Children and I, have also reminded you time and time again to question everything. Question yes, but please, do not allow doubt to rear its ugly head and veer you off course. My Children, I ask you most seriously, why can you not see the goodness which resides in each of you? Why can you not see that your differences are what defines each of you and makes you all unique and special? Each incarnation is a short one, why not use it to better yourself rather than make it repetitious of former days gone past? I would love to tell you that most of you will survive My "winds of change," however that would not be true. It is time to reinforce your determination to be uncommonly kind to one another, to be kind to yourself, to treat others as you yourself wish to be treated. Many of you already do so simply because you know no other way to be. These are the ones who are listening to their Soul Voice. Will you listen to My words of this day? I would like to believe that it will be so. However, much of your previous endeavors suggest otherwise. I wonder just how much longer it will take before the human race stops feeding the war machines and starts feeding the hungry of this world. I heard a man say the other day that all he needed to succeed was "more time." One of My off-world Children was heard remarking, "why would anyone want more of something that does not exist?" My point here is that far too many of you still desire more and more of the same old thing. What sense does this make? You have all had many, many, many lifetimes to learn these fundamental lessons. Have you ever wondered why there are so many people on this small world you inhabit? I shall give you a hint. Most people graduate from the Earth Star Walk when they have learned ALL their chosen lessons. It is not important for you to know what they each are, it IS important that you live a life worth living. Now Children, how many of these people I just spoke of do you suppose have not learned their lesson? Let us take into account that many Souls have in the past learned their lessons and are here once again at My request to teach those who they can, those who are finally ready to move forward. There are millions of great teachers here in the present, walk-ins and born-ins alike. That still leaves billions who are unfortunately still floundering about in the illusion of time. In the future I shall ask these two Souls (Celest and David) to write about re-creation and recreation, about the similarities and differences which exist between the two and how they continually plague the human race. Then we will see who gets the point and who does not. Yes, I will still be counting heads. A thought just appeared in this receiver (David’s) mind which I will address briefly. Do any of you think for even a nanosecond that We, the residents of this Universe, have nothing better to do with our time than simply share Our thoughts with you to read? I can assure you that We can find other things to do with Our precious Now moments. We do however feel that you are worth the effort so please do not let our efforts be in vain. The Earth’s populations have out of necessity had to restart over and over again. No – you are not the first human civilization, nor are you alone in this Universe. Many of those who were incarnate back then are here again now. What is important is that you recognize the fact that many of these previous civilizations did not heed Our warnings about the seriousness of times that were upon them. And yes, many of these civilizations were far more evolved than you currently are both Spiritually, as well as technologically. You may have noticed that the seriousness of Our tone has altered in the last year into a sense of urgency. The reasoning behind this dramatic alteration from our previous teaching of nothing but love, peace and oneness, to the more direct and in your face "this is the way it is," attitude is due to the fact that so many of you listen, but still do not hear. Our desire here is to "save" as many of you from failing yourself as we possibly can. It is in your best interests, it IS in Our best interests. "The Coming of Age of Collective Consciousness"
Well now, I know it has been a while since you have had one of my missives to read, however Celest and David have been their usual "beyond busy selves" and I have to respect all the other projects that have been lined up for them. I carefully chose this title for now as the one I feel would be most appropriate for the "new" times you are just entering. I watch and listen to all the anguish each of My Children is experiencing. Although I feel for each and every one of you, it is because I can see the entire "present now" gridline and yet see the soon-to-be "upcoming now" events that I can understand how confusing and chaotic these times of your "today" seem to you. I will repeat however what my Star Keeper ally and friend Blue Star the Pleiadian has rather relentlessly been hammering away about, and that is you are living in the times of OC (organized chaos), at least all but a small percentage of the world population is. The entirety of the Creation process is always striving for perfection of ItSelf as well as all aspects of the Creation; Those aspects are all life forms in ALL of this Universe, none are considered better than others, although many are wiser than others. What is not well-understood on MY Earth Star planet is that the Creation process requires that all energies ascend and enhance themselves. In this manner it is the magnification of all molecules of intangible AND tangible energized motes of a massive and truly electrifying Light, which must ALWAYS format and reformat itself in a stream of contiguous momentum, that is of course synchronized to prevent any "bleed-throughs," or gaps, occurring within the matrix of the Light Force. It is this Creation process dear Children, that is always encouraging Each and EVERY Soul who has ever been, to continue Its journey onward and forward to the individual Soul’s next personal AND planetary evolvement stage or level. This is a primary example of OC. However it is not OC’s only function. It is the massive construction of a type of WAVE of mutually linked mind-thoughts and Soul impelled indestructible determination to surpass Its own expectations of ItSelf. As this occurs it is thus Creating an even more expansive grid, or "line of defense" around the entirety of the Creation process. The "chaos" in OC is merely another example of the reformatting required to bring people, places and events into a continuum where all things are truly Created equal. It is here, in this continuum, where each reality ever experienced by ANY of My Children transforms itself into a type of melody. All previous memories that still held transparent remembrances of times and events that were not beneficial to the individual Soul, now can complete the transformation to "experiences had, but no longer needed." The melody of which I speak is impossible to accurately describe to you. But I can tell you My Children, that it is within the nucleus of this transformative process that all healing needed by a Soul that had been in torment at one time or another, achieves the apex of the healing. It is here that all of the lower-based frequencies that so impinged upon a Soul is transmuted into the motes needed to be a true Song of God. It is here that all of the Divine Collective Consciousness of these Souls integrate in such a beauteous fashion that They are truly ONE, yet MANY. The "Collective" in this sense means-the totality of the grouping together of all these Souls combined as one gigantic mind-link, one force field. These then form a single thought-pattern, a single but emancipated focus, that main focus is that the Souls both combined yet individually, living as BEINGS who are BEING all THEY CAN BE. It is a supreme time of delight for all of Us, all of Divinity, to observe "The Dance of the Souls." Each One who has refined ItSelf can then go on to teach others who have yet to ascend to that particular level of development, of unperturbed Godliness. These teachers are old and wise Souls. They must always know when to teach, when to withdraw and when to let go and "let God." It is also here in this special place that Souls who are discarnate respond to the call issued by their brethren who are of necessity still incarnate. This is the time of the blowing of the Golden Conch while imploring, All good Souls unite Now. The discarnate ones then, especially those who are the Masters, with varied specialties of course, ALWAYS respond to the call. THIS is the second Wave. It is when the incarnate and the discarnate unite for the good of all! Remember, as both I and My trusty Emissaries have told you so many, MANY times before: My Work had to begin with One Soul at a time. BUT as the good works continued throughout the ages of mankind, then the accelerated step-by-step process of achieving My Goals here on this planet birthed the First Wave of MySelves. I reserved the right to speak of the second wave first, because I can. Although it is true that each succeeding wave over the centuries has brought more and more freedom to MANY of the countries’ people on My Earth Star, you Children will never really know or be able to truly comprehend while you are incarnate, how much effort and very, very, hard work had to be undertaken by all My Emissaries to maintain a continuity of thought and right actions in order to remain on the exact parallel needed to be aligned with The Jesus The Christ Consciousness and the realignment of the planet. All this having now been stated by Me, I will proceed to your "today times." There have been many ages of the Earth Star history, most have been volatile and non-beneficial. Although of course it was known and accepted by all of Divinity that this must of necessity occur and My Children would have to endure so much wrought upon them by so many, it never meant that any of Us had to like it. Nor did We. Even though We were well aware that as each age passed, the Children would choose to become their GodSelves yet again, We had many mind-thoughts with one another wondering how many would survive the cataclysms that would truly begin in 2007, Earth years. We watched, We waited, We listened and responded to each and every call My Children have issued. Problems of course ensued when We returned the call but the line was busy, or worse, "no one was home." Then too there has always been the problem of telling Children the truth, but it was not a truth they wanted to hear. But it is now, in the winter of 2008, Earth years, that the die that was cast so long, long ago, is bringing into fruition the final phase of the NEW FRONTIER. "Consciousness" is a tricky issue here on the Earth Star. The intelligentsia has wrung the truth out of consciousness and it has become a dirty catch-all word in the medical and psychological professions. This term was actually Created through the Creation process meaning-"Sacred, a holy state of Being, the ability to BE God existing in all life forms." As mankind moved from the most primitive forms of themselves the term "consciousness" became known as, "a state of awareness on the conscious level of KNOWN realities." The conscious mind then became split into two factions. The conscious was accepted and the SuperConscious was effectively dissected from the whole of the energetic mass of consciousness. For hundreds of years it was only the Souls who continued to rebirth here to further educate the masses of the true realities of the SuperConscious who had managed to keep this truth alive. As Universal time marched inexorably forward with full knowledge that The NESARA of MySelf, My Jesus The Christ Son and the CONSCIOUSNESS of all of Our combined Divinity, MUST not merely arrive to the Earth Star but must also transcend the mundane and then ascend to Our rightful place here on the Earth Star WITH My Earth bound Children. This has required great dedication on the parts of all of My Children who are incarnate here. You must understand that it was never enough for any of you to know that the results of all of our good works combined would indeed provide the gestation period for Unified Consciousness and the ultimate conceptualization of thought over matter. It was never enough for you Children to remain strong and firm in your beliefs and your willingness to live for My truths. It also has meant that you too would have to withstand the changing of the climates, the necessary relocating to other geographic areas untold numbers of times and the preponderance of lower-based entities forever it seemed, nipping at your heels. Above all else Children, your primary goal of uniting in mind-thought ON Soul level is what you are achieving. It is within this achievement, this precious, incandescent, Supreme non-matter energy force, that YOU are attaining AND maintaining the coming-of-age of the Collective Consciousness. You do not know this about yourselves Children, you do not understand yourselves as I understand you. Oftentimes when you are "walking the walk" you must of necessity simply keep going, in order to KEEP GOING. When this occurs it means that you may be oblivious to your own good works and feel helpless at times that you are not doing more than you are. It is the implementation of the Conscious energy that assists you in maintaining your Conscious and SuperConscious stride. This occurs when the conscious part of yourself is finally at peace with and working in tandem with the Super Conscious YOU. My dearly beloved Children, if you could but see yourselves through My Eyes instead of only seeing yourselves through your own, you would better understand what miracles you have wrought. Every step you are taking, regardless of how minuscule it may seem to you, is vitally important in this "new to Earth" Collective Consciousness format. I watch you, as do others of Divinity, as you struggle at times but valiantly keep on going, and WE KNOW that you are exceeding your own expectations of yourselves, while you are not even knowing you are doing so. As I have said so many, many times, "it is NOT enough to know how the end to these dramas will take place, it is NOT enough to know what the probability of future events will be, it IS enough for you each to know that you are playing out your roles, just as you contracted to." My dear, dear Children, stop trying to BE heroic! You already are. True acts of heroism simply require living your lives here to the best of your ability: MEANING-do the right things for the right reason. Do you believe in Me? Then how can you not believe in yourself? To believe in one is to accept the belief in the other. Now I will show you but yet another aspect of your good works that have been part of My great Gestation period here on the Earth Star. I spoke to you earlier about the great continuum, remember? You of My Children who are each contributing to the NESARA momentum that is spreading so rapidly across this planet have been unwittingly Creating a continuum here as well. This continuum although in one sense was not to be found on Earth, IS rapidly Enlarging and enveloping this planet because of the combined thoughts and Soul Desires of the Earth Children. It is a gigantic amassing of life force that is filled with incredible Light; this Light is permeated with My Love. It is also the unconditional love of Jesus The Christ. It is within this surrounding mass that all that each of you has contributed to, which is the Coming-of-Age of Collective Consciousness, equates WITH and is an integral part OF The Collectiveness. Please think of it this way; energy begets energy-each mote of energy that is EQUAL to another’s energy, then causes each of those two energetic masses to combine. In so doing those two, in this instance, then unite as ONE collectiveness and because of their same energy components, each is then stronger, brighter and hardier. Now take this a step further please-I will ask you to imagine the scene I am watching. As each of you here on Earth, regardless of where you live geographically, unite through thought and intent each energy mote representing each of My Children who do this, swiftly combines each individual energy with the WHOLE mass that is now expanding exponentially. So what began as a snowflake that rested with a grouping of other snowflakes, then formed into a crystalline mass. That mass then had the Creative ability to form itself into an avalanche and Create new directions, new opportunities, new venues which ultimately attract more snowflakes. Never underestimate the power of My snowflakes! Of course I am speaking of the Creative ability of the good and the just. I am sorry that it was not possible for this great cleansing Terra is enduring to be less painful to her as well as to you. However, all the good that is now ensuing and SHALL CONTINUE to do so, IS resulting in the mature version of the Consciousness of this planet. You each gather together, some huddle in the cold by their telephones and computers, sharing sadness for the many, many Children who have "lost their way." I understand that sentiment. I would ask however that you each gather strength from one another instead. I ask of you to see beyond the limiting confines that have so successful kept you Children in "immature constriction" for so very long. 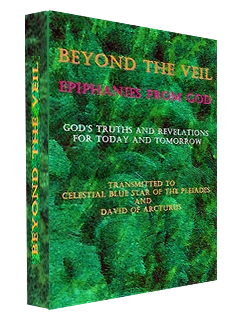 I ask you to see that all is proceeding as part of the Divine Plan for the betterment of Terra and humanity as a whole. I ask that you become "colorblind." When you look into the mirror, see your sisters in Arabia, your brothers in Africa, your simple herdsmen on the moors. I ask that you see Me in your mirror looking back at you and smiling and saying, "kudos Child, kudos." I ask that you remember to have one pure, unselfish thought a day, many more if you can handle it, and beam that thought CONSCIOUSLY into the Collectiveness you are already a part of. The ability to do so consciously is but an expression of personal responsibility. Do this with no strings attached. After all, I have never attached any strings to any of you, now have I? In case you don’t know the correct answer here, it is, "No, I have never done so, nor will I, Children." I now bestow upon each of you the title of "Collector." I know how important titles are to so many Children on the planet, so I decided to give you one of My own. Children, My Children, you are each maturing and aligning with "The Golden Now," many even in spite of themselves. I assure you that the incredible expansion of the Collectiveness energies will only continue to become bigger and brighter. There will NEVER be a cessation to this movement UNTIL all Souls are as ONE. In other words, we are in for the long haul! I ask you not to be hard on those who are not ascending in this manner. Yes, the elongation of the Consciousness Collective IS a part of both personal and planetary ascension. To ascend simply means, "to rise above and don’t look down or back." Sound simple? NO, it is not. If it were really that simple, all of you would already be there. As the planetary movement adjusts itself to an even greater and more accelerated pace, leaving linear time behind completely, more and more of my Lighted Children here will learn and carry a new assuredness about themselves, a new sense of self-confidence without cockiness will become apparent. Not all will be aware that they are completing yet another step in the ascension process. That is all right. For many, their lives will be easier if they do not know this. Many of My children who have lost or given up their Light and their Godliness must pay the price for their actions as well as for their non-actions. No "chameleon" people will be allowed to remain on Terra. None of the rapidly departing Children of the former Illuminati lineage will ascend with My Terra. That would be foolhardy on My part. Those Children whose contributions have waned and then become nil, shall not be able to remain here either. Pay attention Children, to Light, frequency and vibration please! Either you shall continue to ascend with each of these other aspects of Divinity-the Light, the frequency and the Vibration of My NESARA Self or…. 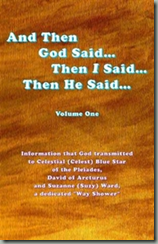 "And Then God Said… Then I Said… Then He Said…"
Celest – God, we know that it was You, not any of us who choose the chapter titles, why is it that your selection of “Awareness” is so important to this book? God – “Awareness” is a term that can be taken in many ways. I KNOW that it is important because of all that I have always seen on the Earth; all those billions of peoples who have not been “in awareness” for many a year, some not for many a lifetime. It is when the curtain of your “remembrances” falls when you reincarnate here, that reality takes a back seat to “illusions and deceptions.” Many of My Children feel they are aware of all that is truly occurring, yet in fact they are not. They may know some truth from deception, but the heavy burdens they each carry while walking this walk, causes them to at times…too many times for some…accept that which is false, or worse, replace truth with the illusions of reality. This is obviously not a good thing. It is important that all of My Children come to terms with truth, that they come to terms with themselves and have confrontations with the “devil” if necessary. There are different levels of “KNOWINGNESS,” which is “Awareness” in a different guise. When you KNOW something, it means that “you are sure on a conscious level” about a person, place or thing that has some connection with you in everyday practical life. Unfortunately, too many people take it for granted that what they think they KNOW, and what they really KNOW, are the same. In fact quite often, they are two separate entities. It is like My sky, there is “day” and there is “night,” one is different from the other in APPEARANCE, yet they are each an aspect of the ONE sky. It does not mean, “day will become night and night would become day,” it is the reality of two aspects of one entity sharing themselves as one unit. Many people KNOW that the conditions of their lives are to say the least, in disarray, they then begin to contribute the mess of their lives to all different people, places and things which they THINK have somehow contributed to the situations. Some people will actually have the…..strength…to acknowledge that in actual fact, only they themselves allowed such and such to happen. Had they been AWARE that none of those distasteful or tawdry events could have occurred unless that individual PERMITTED them to take place, then OBVIOUSLY any sane person would have kept it from happening in the first place. I have just given you a very practical example of any everyday situation; I did so because it is My hope that in this manner you will be able to follow the rest of what I have to say. What occurs on the conscious levels of KNOWING can be easily filtered through the “intellect bugaboo.” Don’t get me wrong, I love the intellect, after all I did Create it, you know. BUT it was not My Intent for the intellect to control the AWARENESS which you each bear as an aspect of your Soul Self. The AWARENESS of all that you each are, all that you each have ever been and the POTENTIAL of all that you still MAY ascend to, lies quietly in the Super Conscious realm of yourself. The Super Conscious can and does transmit the AWARENESS into and through your subconscious. However the subconscious can filter through to you only as much as your CONSCIOUS MIND can accept at any given moment. You see many are born into AWARENESS here, but lose or temporarily forget about that intangibly tangible aspect of their Soul until or unless something jars them terribly awake from the sometimes self-induced stupor. As long as the conscious mind controls the thought forms, actions and deeds of each person, or groups of like-minded individuals, AWARENESS must await the needed catalyst before walking forth inside of you in its great majestic form. Are you getting My Picture yet? If you place this situation under your nonphysical eyes and scrutinize the conditioning that had taken place which subjugated you to the lower realms of KNOWING, then you shall better understand why AWARENESS is the key to your own immortality and why the dark so fears this Aspect of Soul. Many of you KNOW that you are not “separate” from your AWARENESS, you KNOW that the AWARENESS is an integral part of who and what you are. It is a “part,” not “APART” from you. It is when that KNOWING reaches the conscious mind that the Super Conscious, the subconscious and the conscious mind can interrelate and quietly integrate the SOUL memory you have been permitted to bear with you. These are the memories that are dependant in great measure upon your individual abilities to ALLOW information to pass through the channels of your mind and thusly into your hearts; since this all actually originates as Soul MOVEMENTS, it will not pass back to Soul again, rather Soul will radiate more as Soul reaches upwards to bring you onto yet another plateau of BE-ING. So AWARENESS must not only be thoroughly understood by you, it must be respected, cherished and honored. You each have a responsibility here and that is to willingly bring AWARENESS into conscious manifestation. It is no longer enough to say, “I am aware of all that is going on here,” NOW you must really KNOW what you are saying. The time for “lip service,” is over. The bridge that once existed between Nirvana and Earth is becoming a moot point. You no longer have “old-fashioned linear time” to fall back on; to once again assist you in “COMPLACENCY.” Whew!! Boy am I glad about that! 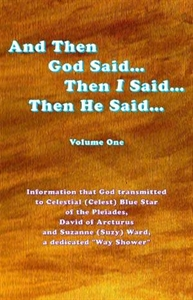 MY BOOK could not be a complete “God Talks,” without you each knowing the importance of your own individual AWARENESS. AWARENESS as a state of BE-ING, is you as Soul Self epitomizing your own ESSENCE. It does not mean that you have to walk around on tippy toes, afraid to make mistakes and expecting to be a “perfected being.” Perfection cannot be found on the Earth, YET you are each “perfect” in every nano second of your life. True, some more so than others, but what the heck, I MySelf am not perfect either you know. Or, perhaps you don’t know. Celest – Ok, God, that is a very reasonable and non-logical explanation. This is what I wanted others to know also. Thank you, I will be back later in the chapter. God – You are welcome and somehow I did think you had more to ask.